Aguas Calientes, Peru – the main access point for Machu Picchu; a small touristic town, its economy driven by wandering travellers. She arrived early that morning after a long and bumpy bus ride from Cusco. It wasn’t the first time she’d taken this journey, but this time was different. She was different. The first time Fleur came to Peru was on a journey of self-discovery several years earlier. She’d grown up in a wealthy family and was conditioned to believe money and objects were the sum of ones life. It was all she knew, and found herself in a perpetual cycle of consumerism and greed. She had her ideal job as a corporate lawyer, which paid for her extravagant lifestyle, and a dreamy boyfriend who wanted to marry her. Everything appeared perfect in her world. For a long time she felt an emptiness that even the most expensive shoes, or jewellery couldn’t fill. She was struck down with clinically diagnosed depression and anxiety, and tried many therapies with little to no improvement. Those around her didn’t understand what was wrong, and she couldn’t explain it either. She only knew she wanted to die – it’d be easier than facing the pain. One therapist suggested going on a yoga retreat to introduce herself to mindfulness. She did, and once she returned she felt especially drawn to travel. It was the anticipation and endless possibilities of globetrotting that ignited a flame inside her stronger than ever. She’d travelled before, but always stuck to well-worn trails, shopping malls, and events of high society. She decided to go against everything she ever knew and go backpacking. With no set plan, Fleur journeyed south through the United States and into Central and South America. She joined a couple in their camper-van for the first leg of the journey, meandering down from Mexico to Panama where they parted ways. There she caught a boat to Columbia, where she was mugged on her first day. She remembers being traumatised by that experience, but the Fleur of today sees it only as a piece of the puzzle she invested a lot of herself into solving. She stayed mostly with host families, where the core of her world views were immediately shaken up and challenged. These people, most of whom were living below the poverty line, found happiness in areas of life she had neglected for so long – family, community, and the natural environment. She began to notice a pattern within each of their lives, which she came to believe was the core of their happiness. They all connected with nature and each other in such a simple, pure way. They would laugh, fight, and cry like anyone else, but there was no facade, no disguise. Any emotion that arose would be accepted and talked about, rather than letting it fester and turn into something awful. She recalls staying with one Bolivian family in a tiny mud-floored hut. It was cold, so they had set up every blanket and cushion they could find and hung sheets in the corner for privacy. She had a bad dream that night and awoke in a panic, sweating and screaming. The mother and daughter were already by her side, stroking her hair and softly singing the most beautiful song Fleur had ever heard. It was pure, unconditional love and kindness. Not long after this she found herself trekking to Machu Picchu with two other backpackers and their guide. When they reached the top of the relentless, rocky stairs leading up to the majestic Incan citadel she felt overwhelmed with emotion. In that moment she wept. It was a culmination of every experience, every person she’d met on her three month solo journey. It was the realisation the life she’d become accustomed to would no longer be. She’d changed indescribably. Those three months were the hardest of her life. She gave up luxury for living in squalor. She faced a relentless internal battle, a constant war between what she’d been taught was “right”, and what she knew was kind. She discovered that by being kind, you’ll always be right, as the saying goes. She connected with other humans and the natural world in a way she never knew existed. She cried almost every day – sorrow at feeling her self being shredded to pieces, and didn’t yet fully understand why. On that mountaintop she wept tears of joy. On the climb back down the stairs to Aguas Calientes she felt lighter in body and mind. She describes it as floating in pure bliss through the jungle. She felt as if she had faced the most difficult of her demons and was ready for whatever else would be thrown her way. And then, almost as if it had been waiting for this moment, vine of the soul called upon Fleur. Vine of the soul – ayahuasca, has been used as spiritual medicine for thousands of year by the Indigenous Peoples of the Amazon basin. It is made by brewing pieces of the Banisteriopsis caapi vine, along with leaves of other plants, which when ingested can produce a powerful psychedelic experience. Traditionally, ayahuasca was used by shamans as a sacred diagnostic and healing tool. In the modern era, it is being widely used by western travellers in search of psychological, spiritual or physical healing. Despite limited scientific research into ayahuasca and its active ingredient DMT (dimethyltryptamine), there is plenty of anecdotal evidence suggesting it can improve social and mental well-being. That said, it is powerfully psychoactive and has the potential to cause undesired effects, so should only be used under the supervision of experienced healers*. Fleur was introduced to ayahuasca by the backpackers she’d trekked with. The couple from the United States were on their way to a retreat near Iquitos, northern Peru. They described this magical concoction, which took you on a journey within yourself resulting in a soul-awakening. She studied up on it and asked as many locals as she could about it, who were divided about westerners using traditional medicine. She was also told to use it safely, at a well-reputed retreat. Before long she found herself on a two-week mindfulness and ayahuasca retreat. The next part of her story Fleur states is indescribable, unbelievable, and beautiful. Indescribable in that putting it into words limits what she experienced. Unbelievable in that her entire world was torn down and built back up again. Beautiful in that she finally found herself. 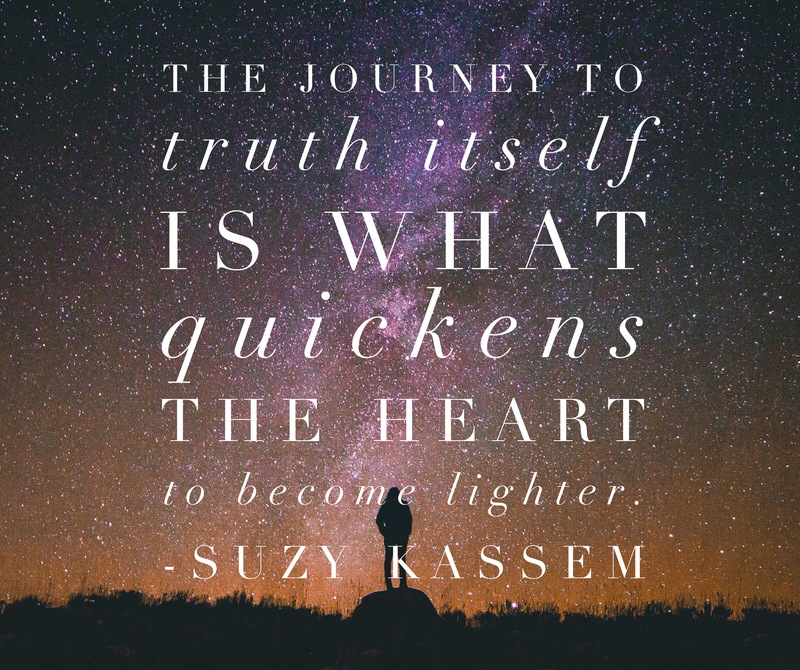 Having barely come to terms with the changes happening around her, she embarked on the most difficult part of her entire journey – travelling within. The first two ceremonies were a horrid mix of vomiting and anxiety. Known as “the purge” or la purga, the vomiting and diarrhoea clears the body of toxins and any parasites. Fleur came to realise her anxiety and state of panic was also a form of purging. Through mindfulness meditation and the direction of healers at the retreat, she came to terms with what was happening. She was fighting to keep the selfish part of herself alive; her ego was battling to stay relevant in her world. Once she realised this, and accepted the inevitable ego-death, she was able to let go. She began to question and look at everything about her life from a loving and pure viewpoint. Who did she need to forgive? What was causing her depression and anxiety? What path did she need to take now? She asked herself the hardest questions hoping to find an answer. She had a break-through during the fourth ceremony. She watched every last piece of her identity be stripped away until there was nothing left. There was nothing left to identify her as Fleur, or even as a human being. She honestly believed she had died and crossed over into a spirit realm, and she accepted it. It was in this realm, Fleur felt connected with every living thing that ever was, is, and ever will be. She felt the oneness of the universe and the miracle of life. When she returned from the spirit realm, she knew she had received whatever information or transformation she needed, but has since never been able to verbalise it. She felt renewed, awakened, fully conscious for the first time in her life. She felt connected to everything and everyone wherever she went. Following her journey of body, mind, and soul, Fleur returned to Canada where her new life began. She no longer fit into the social mould around her, and saw no lasting value in material items. She broke up with her boyfriend and quit her job, and decided to continue travelling the world, making soul-connections wherever she went, and following any path she was drawn to. Now, as we sit in this organic cafe listening to Fleur’s story, she tells us she’s on her way to do another retreat, and then off to Borneo to volunteer with an orangutan conservation group. She wants to spend the rest of her life volunteering wherever needed, particularly with animals. Goodness knows where you’ll find her in the future. Perhaps in a cafe in a distant corner of the globe. Perhaps in a remote, isolated village, living with locals as one of their own. Perhaps helping an endangered species come back from the brink of extinction. One thing I do know, wherever she ends up she’ll do whatever she can to improve herself and all those around her. It takes courage to embark on a journey like Fleur’s, and we may not all get the chance or have the desire to, but exploring our world and human existence is our absolute right. We have an obligation to ourselves and each other to push beyond the physical and psychological barriers we face. We are all on different paths, but as long as we continue to search for truth, it will be found. It will remain.’ – Suzy Kassem, Rise Up and Salute the Sun. *Ayahuasca, when used in combination with other drugs, medications, and some herbs, can be dangerous and even potentially fatal. Ōrphic Flux does not advocate or promote drug use, however we understand that harm minimisation through education is vital in reducing potential adverse outcomes. Know yourself, do your research, and stay safe. Loved this! Anyway, called by to leave my thanks for your recent decision to follow Learning from Dogs. Do please consider writing a guest post for me!